Dataflow verification is a mandatory requirement for anyone going abroad. DataFlow verification is necessary to prove the genuinity of the documents provided by you. It is mainly done for exposing fraud cases. 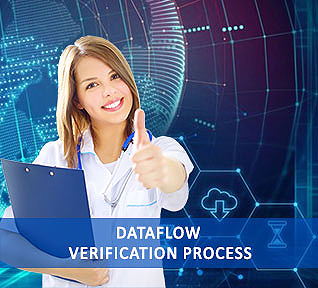 Dataflow verification report is a mandatory requirement abroad for getting employment opportunities. Background checks are necessary to avoid frauds from entering reputed organizations. To get a job abroad, you need to undergo thorough screening process and background check for proving that you have no prior criminal history. Urogulf assists you in completing the data flow verification. For data flow verification, you can submit the documents in any of the Urogulf office in India and abroad. We do the dataflow verification through Dataflow Group. Nice customer support . I like the certificate tracking felicity and the professionalism. Thank you guys.